Samsung has confirmed that it has started wafer production on its new 7LPP node. That stands for 7-nanometer Low Power Plus. 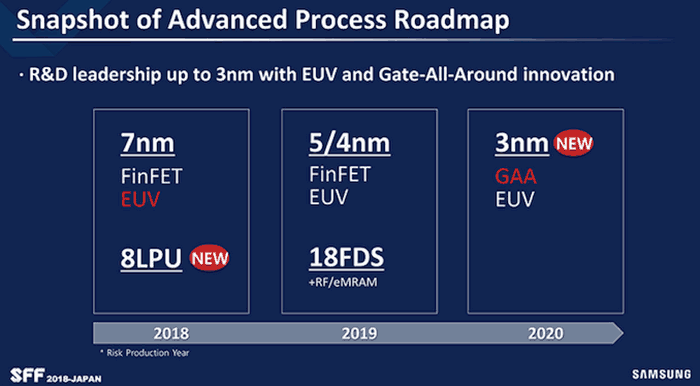 The process uses extreme ultraviolet (EUV) lithography technology and demonstrates that Samsung's Foundry can follow its roadmap with "a definite path to 3nm". "With the introduction of its EUV process node, Samsung has led a quiet revolution in the semiconductor industry," said Charlie Bae, EVP of the foundry sales and marketing team at Samsung Electronics. Bae went on to say how the UEV process delivers a "fundamental shift in how wafers are manufactured," and will help foundry customers "significantly improve" their mobile and HPC products. More specifically Samsung seems the benefits of the new process pushing the boundaries of 5G, Artificial Intelligence, Enterprise and Hyperscale Data centre, IoT, Automotive, and Networking. 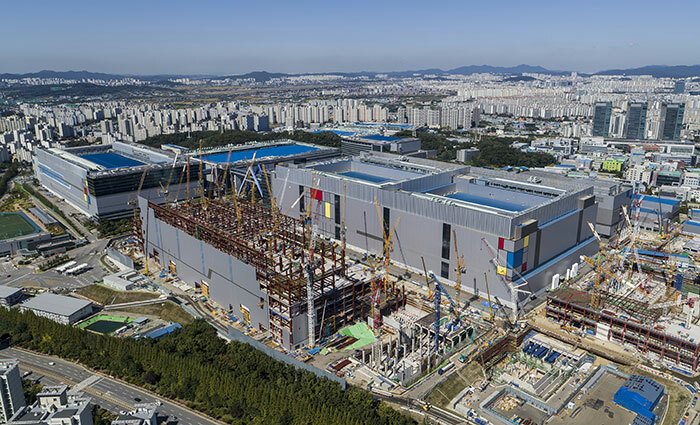 The initial EUV production has started in Samsung's S3 Fab in Hwaseong, Korea. The technology is expected to step up to 'high-volume' production in 2020 with new EUV capacity expected to be secured. Samsung is helping industry partners get on board with EUV 7nm by developing tools such as a "unique mask inspection tool that performs early defect detection in EUV masks, allowing those defects to be eliminated early in the manufacturing cycle." It will also work with partners to provide Foundation and Advanced IP, Advanced Packaging, and Services to get them up and running on the new technology. I hope you mean watchers! It took me a moment to figure the scale… those factories are humongous! ….People being happy? American and European tech companies are failing their citizens by shifting manufacturing to Asia. As intel loose American jobs will be at risk, if Apple could have fab its chips on intel process then America could be richer. Not to be facetious as i do directly benefit from fabs being local to the countries I'm in for better pricing. But what's the problem with a business operating like a business? Furthermore, with EUV a single mask can be made to make a where ArF could need up to four masks for the same job. American and European tech companies are failing their citizens by shifting manufacturing to Asia. As intel loose American jobs will be at risk, if Apple could have fab its chips on intel process then America could be richer. I agree with Tabby on this one, a company isn't in business to benefit the countries they operate in or where they are registered, they're there primarily to make profits etc. Yes they can operate in an ethical manner, however that isn't their primary purpose.